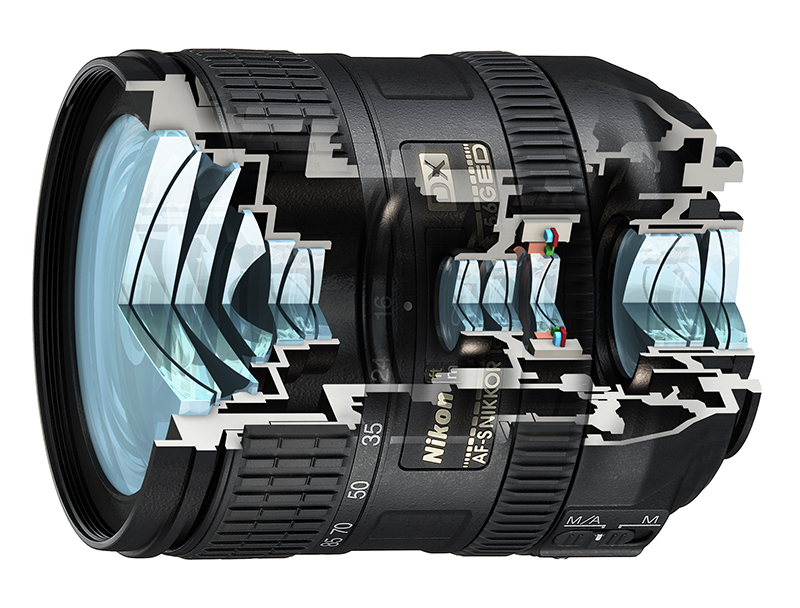 Brief: To create a 3/4 view illustration describing the anatomy of the Nikon 16-85mm SLR lens detailing lens element layout and Nikon’s image stabilizing system whilst still retaining the external detail. Solution: Working from a small x-section detail showing the lens element layout, I created and rendered a 3d model. Details were added in Photoshop as part of the composite and finishing process.